LOW FLAT FEE SHIPPING! Just $5.00 shipping charge no matter how many items you order! This includes careful packaging, 1st Class United States Postal Service shipping, tracking and full insurance! Expedited 2-3 Day Priority Mail Shipping is available for an additional $4.00. If not 100% satisfied, the coin may be returned in the original unopened holder within 10 days of receipt for a full refund. Returns must be insured. There is a 3% restocking fee for returns that were paid for by credit card. Coins purchased on our layaway plans may be returned, though are subject to additional fees. Click here to view our LAYAWAY RETURN POLICY. Shipping is not refundable. All coins are guaranteed genuine without time limits. Would you like to be e-mailed when our new purchases are listed? Click here to sign up! Do you want this coin or other coins on our website but cannot afford them at this time? No problem! 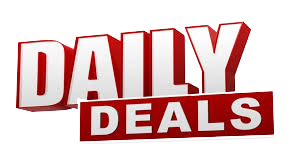 We offer three 100% interest free layaways! CLICK HERE for more details! Note: All of our images are enlarged to show detail. Small nicks, spots or bag marks may look much larger when you view the pictures. Please keep in mind that the entire coin is magnified when viewing the coins, especially when you enlarge the image. Have questions? Give us a call toll free at 1-800-524-2431 or click below to contact us via e-mail. We will respond to your request within 24 hours, usually within the hour. Our shipping charge is a flat rate of just $5.00 for all orders regardless of the size. To expedite your order, we offer 2-3 day Priority Mail upgrade for an additional $4.00. Our shipping charge includes quality packaging, shipping, tracking and full insurance. All items are shipped through the United States Postal Service (USPS) usually within 24 hours! 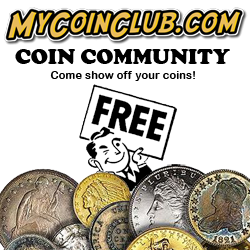 Have you found some coins you want but cannot afford them at this time? We are happy to offer three interest free layaway plans to help you afford those coins that are not so affordable! With as little as 10% down you can start a three, six or twelve month layaway plan. All of our layaways are 100% interest free with absolutely no hidden charges if paid in full by the due date! To read more about these plans, please Click Here. Are you looking to sell some coins? We will pay top dollar for nearly all U.S. coins!